Okay, before I get distracted by looking up old favorites on YouTube, I’ll get to the point. Sure, Saturday Night Live is just a television show. 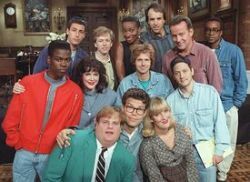 But SNL has been around for as many years as I have. If you were paying attention a few sentences back, you’ll know that means not-quite-40 years. 37 years, to be exact. For a person, 37 years is a decent amount of time. But for a TV show, it’s not exactly common. Culture and experience have clearly played a sizable role in the success and longevity of this comedic institution. As onboarding experts, it’s our job to immerse new employees in our organizations’ cultures, and give them experiences that will set them up for a longstanding, engaged tenure. 1. Rookie cast members work alongside veteran stars. Every season, a fresh-faced crop of “featured players” are sprinkled throughout sketches, trying to prove themselves and be promoted to full-fledged “repitory player” status. How are we replicating this on the job? Are we immersing new employees in projects and teams? Are we leveraging our veteran talent and knowledge base to mentor the up-and-comers? Formal, classroom-based learning can only take things so far, as does shadowing or observation. It’s necessary to make the connection to on-the-job performance. We need to make the connection. New employees need to make the connection. Hiring managers need to make the connection. Integrating new employees into routines, processes, tasks and projects purposefully helps weave them into the fabric of the culture of the organization. 2. The show is consistent. While the cast, writers, characters, and musical acts have certainly evolved through the years, we can count on SNL to take on politics, pop culture and current events. And regardless of what’s going on in the world, the show must go on, live, every Saturday night at 11:30 p.m. when we hear those famous words shouted, “Live..from New York, it’s Saturday Night!” Even in the face of 9/11, the show’s commitment and consistency was unflappable. Consistency is key. Hiring needs will change through the years; acquisitions, downsizing, organizational direction, and other factors will change your employee landscape. Keep a finger on the pulse of the organization, and keep your onboarding program relevant and meaningful for employees. Find the common threads that all new employees need, and keep it current. On-the-job experiences will vary depending on the role, but the consistency should lie in the relevance. 3. They have a captain at the helm. 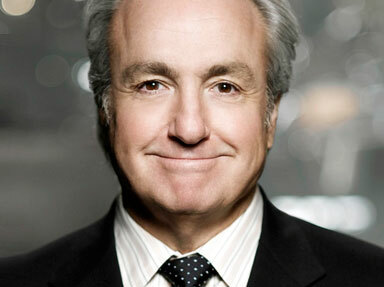 With exception of a small stint in the 1980s, Lorne Michaels has been running the show for its entire run. Sure, the cast pokes fun at him in sketches, but there is no question who’s in charge on the SNL set. Mr. Michaels, who created the show, has a clear vision for the show, cast, and characters. Who owns your onboarding process? It might be an HR initiative…and honestly, that’s probably best in many cases. As mentioned before, this will ensure consistency among new employees, regardless of role or department. But just like Lorne Michaels gives creative freedom to his cast to develop characters and write sketches, HR needs to enable, engage and empower stakeholders across the organization to do their part to develop new employees. And don’t forget the new employee himself. He should absolutely be held accountable as an active partner in the onboarding process! Consistency is in the relevance. Own the process. Enable, engage, and empower stakeholders. Now, just for fun…here’s a favorite SNL moment of mine. It never fails to make me laugh! 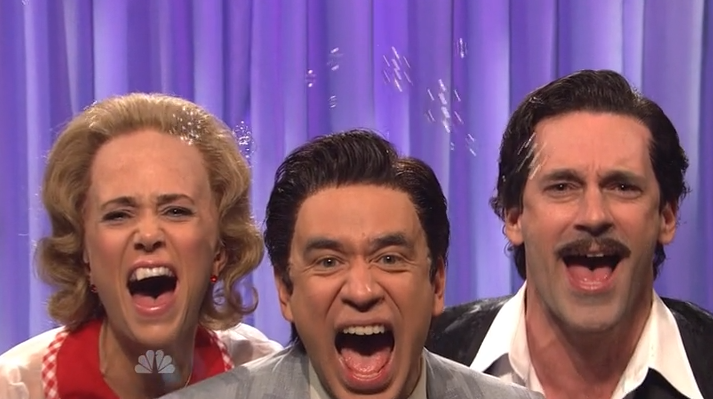 Your turn: What are your favorite SNL moments through the years? As learning/onboarding professionals, what other lessons can we take away?